Did you know you are probably responsible for your neighbors’ mortgage payments? Nearly all new residential mortgages are currently being guaranteed by Fannie [Mae] or Freddie [Mac] because these companies buy mortgages from banks and then sell investments backed by the mortgages. And because the Federal government guarantees these investments, taxpayers foot the bill when people default on their mortgages. 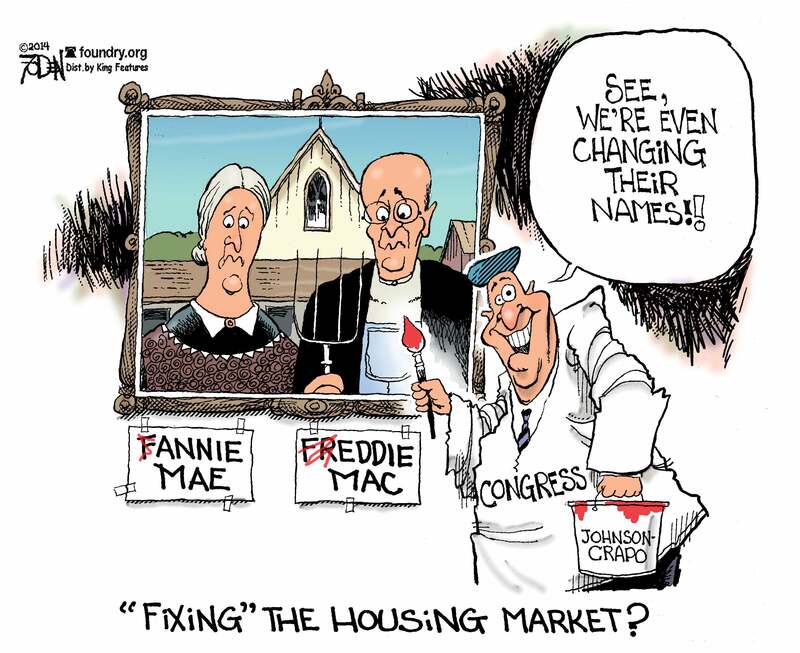 And what good have Fannie Mae and Freddie Mac—and all their taxpayer backing—done? “The U.S. does more to promote homeownership than most countries, but we’ve barely increased ownership, and total costs of owning a home have spiked,” Michel said. Meanwhile, we’ve written about how the Treasury is keeping Fannie and Freddie off the books—and hiding billions in taxpayer guarantees in the process. Heritage experts have warned that a bill sponsored by Sens. Tim Johnson (D-S.D.) and Mike Crapo (R-Idaho) would ultimately leave many of these problems intact. The Johnson-Crapo bill adds to another attempt by Sens. Bob Corker (R–Tenn.) and Mark Warner (D–Va.) to create a new federal regulator. Other lawmakers are intent on getting government out of the mortgage-backing business. In an interview with Foundry Senior Contributor Genevieve Wood, Rep. Jeb Hensarling (R-Texas) talked about sponsoring legislation that would phase out Fannie and Freddie. Heritage experts have projected that closing Fannie and Freddie “will relieve taxpayers of future bailouts and likely result in lower mortgage debt, higher personal income and savings, lower home prices, and lower monthly mortgage payments.” It’s time to get the government off our lawns. 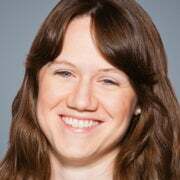 This Democrat wants subsidized housing for these people in the top 5 percent of earners. Really. This bill is supposed to help women, but it could actually hurt women’s employment prospects. How about some good news? Religious freedom just won a victory in Mississippi. Unions: Making it harder for people to take care of their loved ones.